SalsaVerde...lovely and versatile....my "jill of all trade"
will be posting (Warning: you might tire of this homage -- but it will be worth it)! 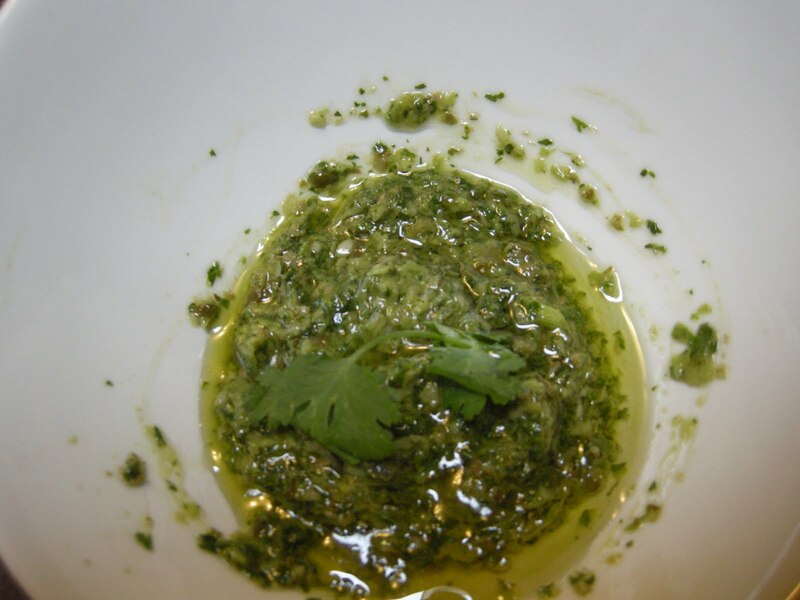 of cilantro salsa verde... you may call it "cilantro pesto". Whatever name you want to call it....it is just divine! Cilantro salsa verde: "the jill of all trade"
Combine in a food processor pulse and add olive oil a little at a time until pasty. If the sauce is too thick thin with water and pulse. Store in a jar and cover top with olive oil ( 2-3 tbsp.) to preserve. Keep refrigerated and take to room temperature before using. This will last for weeks, but it's soo good, that in a couple of days....you would probably need to make a new batch. lamb, chevre & mushrooms...at kitchen! kitchen!